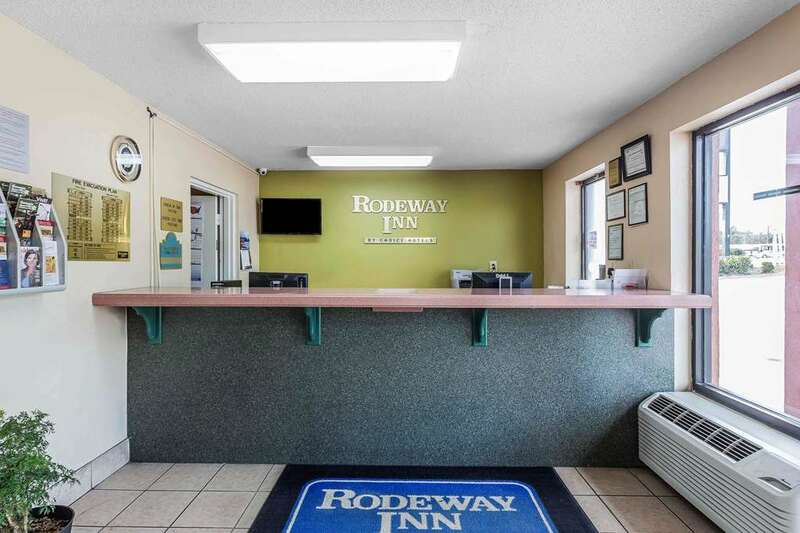 When you are traveling on a budget, enjoy a simple stay at the Rodeway Inn hotel in Augusta, GA. We give our valued guests easy access to Augusta State University, Green Meadow Golf Course, Augusta National Golf Club and Augusta Riverwalk. Amenities include free WiFi, free ample parking, free continental breakfast, free coffee and an outdoor pool. Your cozy guest room features a refrigerator, microwave, coffee maker, hair dryer, TV, iron and ironing board. Also, earn rewards including free nights and gift cards with our Choice Privileges Rewards program.